7 Do not be deceived: God cannot be mocked. A man reaps what he sows. 8 Whoever sows to please their flesh, from the flesh will reap destruction; whoever sows to please the Spirit, from the Spirit will reap eternal life. In 1962, maverick inventor Bill Lear wanted a challenge. 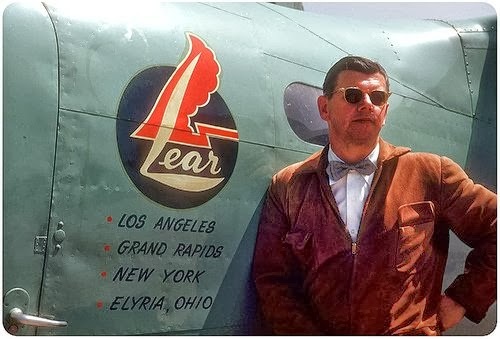 The sixty-year-old Lear had already invented the 8-track tape, and the automatic direction finder and auto pilot for aircraft. So in 1962 he sold his interest in Lear, Inc. to form Learjet, which became the leading supplier of corporate jets within five years. But soon after his company started producing jets, there were two Lear aircraft that crashed under mysterious circumstances. Lear was devastated. He'd developed the plane to offer business travelers a fast, economical alternative to the airlines. At that time, 55 Lear jets were privately owned. Bill sent word to all the owners to ground their planes until he and his team could determine what had caused the crashes. To Bill, who was a Christian, risking the loss of more lives meant far more than the adverse publicity that grounding all Lear jets might generate in the media. He protected his customers and counted on God to protect the reputation of his corporation. As he researched the two ill-fated flights, a possible technical problem emerged. Bill experimented with his own plane to recreate the same problem. He nearly lost control of the jet in the process, but found that a defect in the plane's design did exist. All 55 planes were fitted with a new part, eliminating the danger. Bill spent two years rebuilding the business. Lear jets were soon soaring again, carrying thousands of business people safely to their destinations. We are responsible for our actions and we will reap the fruit of our labor. Dear Lord, thank You for blessing those who look to You and work responsibly for Your glory. Help us always to have the integrity to do what is right. In Jesus’ Name, Amen.